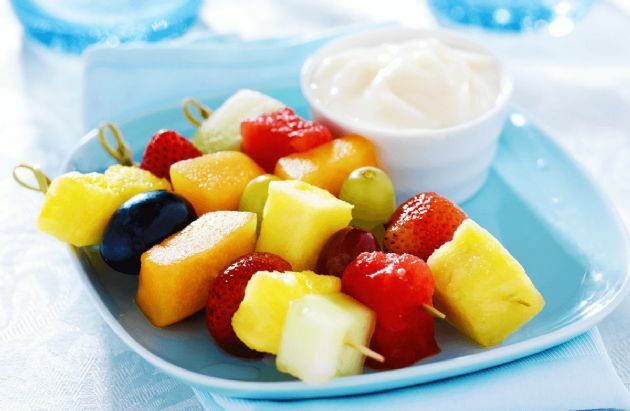 Serve these fruit kebabs at your next party. Serve these fruit kebabs at your next party. NOTE: If using pear or apple, toss the cut fruit with lemon juice to prevent browning! Thread fruits alternately onto 20 (six-inch) wooden skewers. Serve kebabs with coconut dip on the side.